Home design trends seem to evolve on a daily basis. 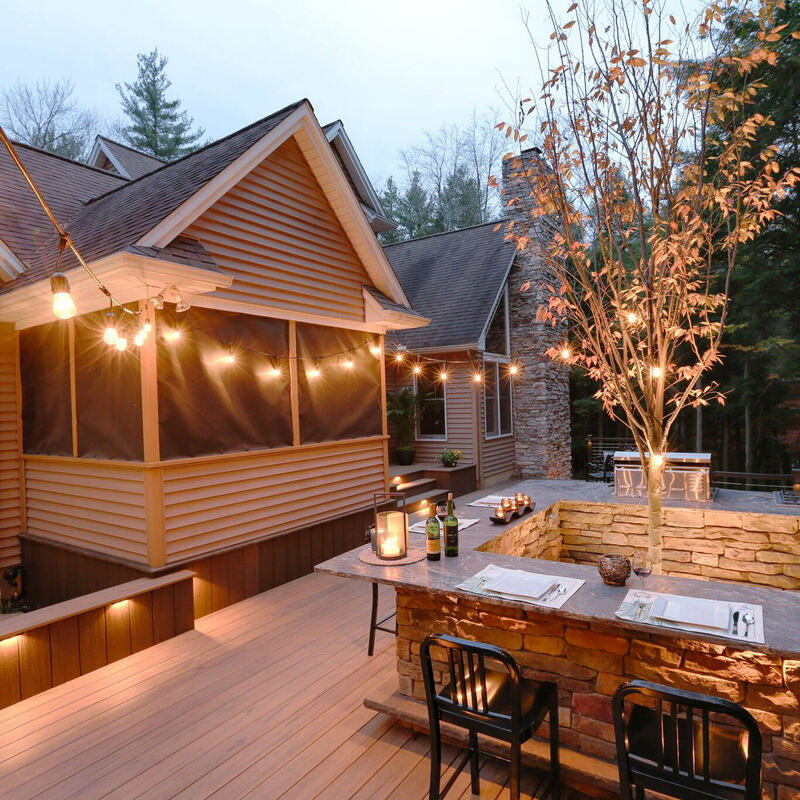 There are new styles, features and schemes being developed and finding their way into homes across America in what seems like a blink of an eye and outdoor living spaces are no exception to this evolution. 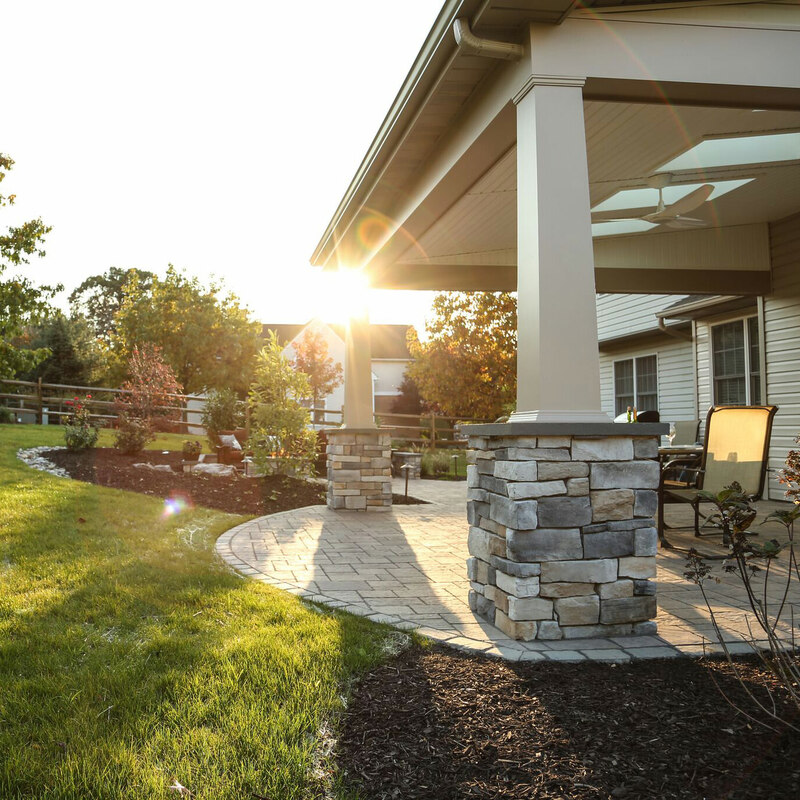 The 2017 Techo-Bloc catalog is a shining example of the progression in hardscape materials, taking chances and creating new products to appeal to a broader market, excluding no home aesthetic along the way. Peppered among their earlier products, this catalog professionally showcases their new products and they do not go unnoticed. Let’s explore a few of their more avant-garde 2017 products. Only available in the color Hazelnut Brandy, this stone plays off the popularity of their Borealis collection. 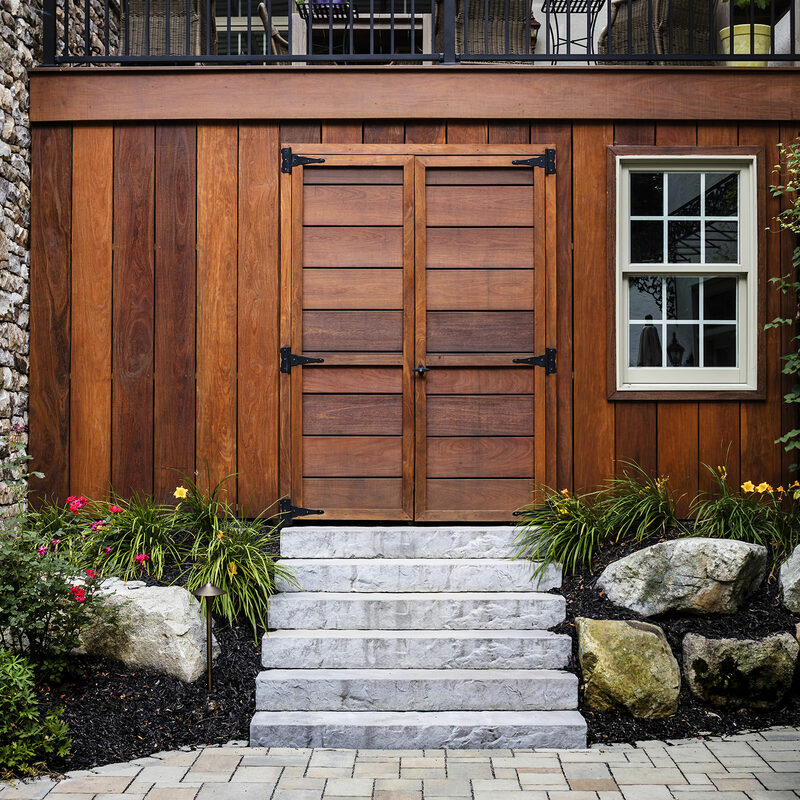 This stepping stone provides the opportunity to create a unique walkway in unpaved areas, with the beauty of wood set in stone. 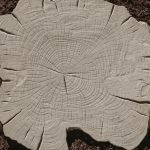 It’s organic tree stump appeal lends itself to the more contemporary or even imaginative backyard, but you won’t have to worry about warping the way natural wood can. This 60mm slab easily captures the aesthetic of wood with the practicality and stability of concrete. What do you think of this stepper? This concrete slab is one of the most noticeable for its high-definition texture. This is Techo-Bloc’s latest dry cast slab that lets the surface texture take all the limelight. Techo-Bloc describes this slab as being “inspired by the veins left behind on sandy ocean shores”, and that it does. Ideal for pool decks, the surface was made to be slip-resistant and kinder to the feet under the intense summer day sun, due to its innovative surface relief and its lighter color palette. Ocean Grande can be found in the colors of Greyed Nickel and Beige Cream, of which also lend to the resemblance of sand on the beach. Does this slab make you want to turn your vacation into a staycation? With a smaller dimension than the Ocean Grande the Dunes slab takes a page from the Borealis collection in the way that it is also resembles natural wood. This wet cast slab is available in the most popular Stonedge colors of Rock Garden Brown, Riviera and Chocolate Brown; each color option is composed with a dark and light ombré to reflect the natural tone of the veins and textures showing variation from one stone to another. 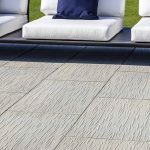 This contemporary slab effectively gives a more modern spin to a traditional product, creating beautiful and low-maintenance solutions for outdoor living spaces. 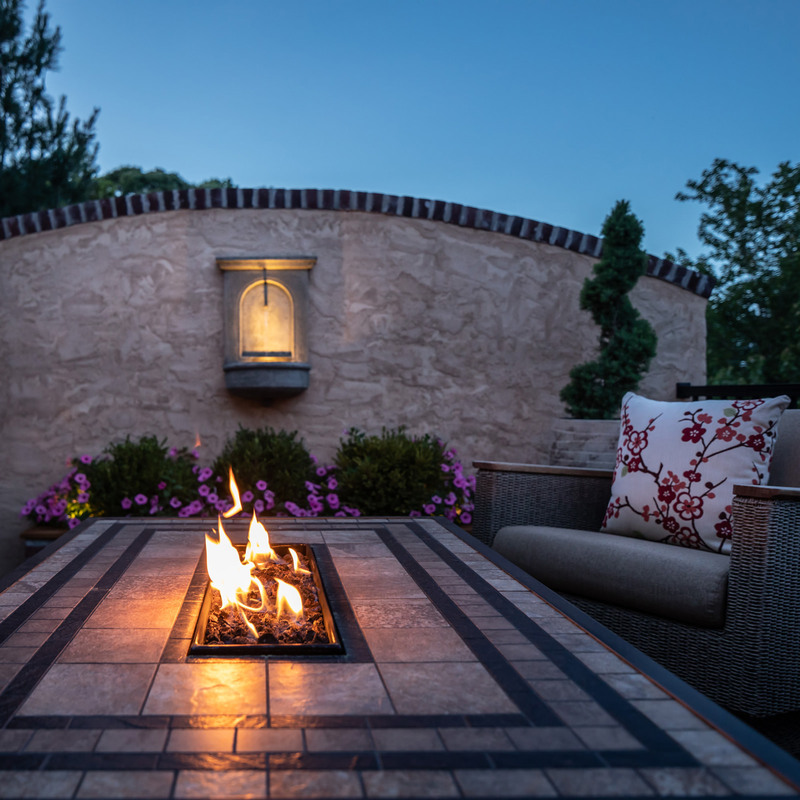 Can you see this being a part of your own outdoor living space? Travertina Raw mimics the look of natural travertine and being made of concrete material gives it the versatility that the masses have been asking for. Due to the makeup of travertine and the freeze/thaw cycles of the northeast United States, natural travertine is susceptible to crack in extreme cold temperatures. Man-made travertine is the perfect solution for those who want the look but don’t want to constantly worry about its fragility. 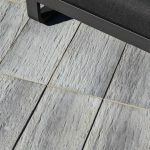 Using Travertina Raw in a patio or pool deck will give a polished and elegant look with the feeling of luxury. 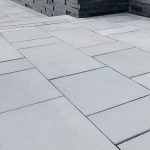 Available in Ivory, Rock Garden Brown and Riviere, Techo-bloc has extended the Travertina Raw collection to include a double-sided structural retaining wall system, wall caps and pool coping, fulfilling customer demand for its refined aesthetic. 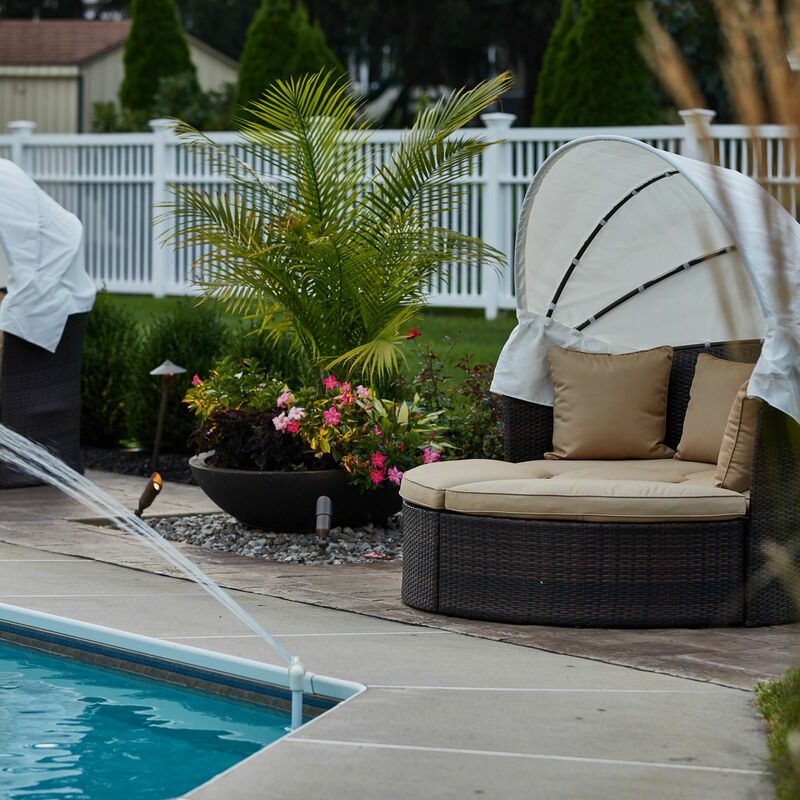 Do these qualities appeal to you for your swimming pool patio? This large-scale slab is a part of Techo-Bloc’s High Definition Collection, along with Dunes and Ocean Grande. This slab has an extremely smooth and tight texture making its pores nearly visible. 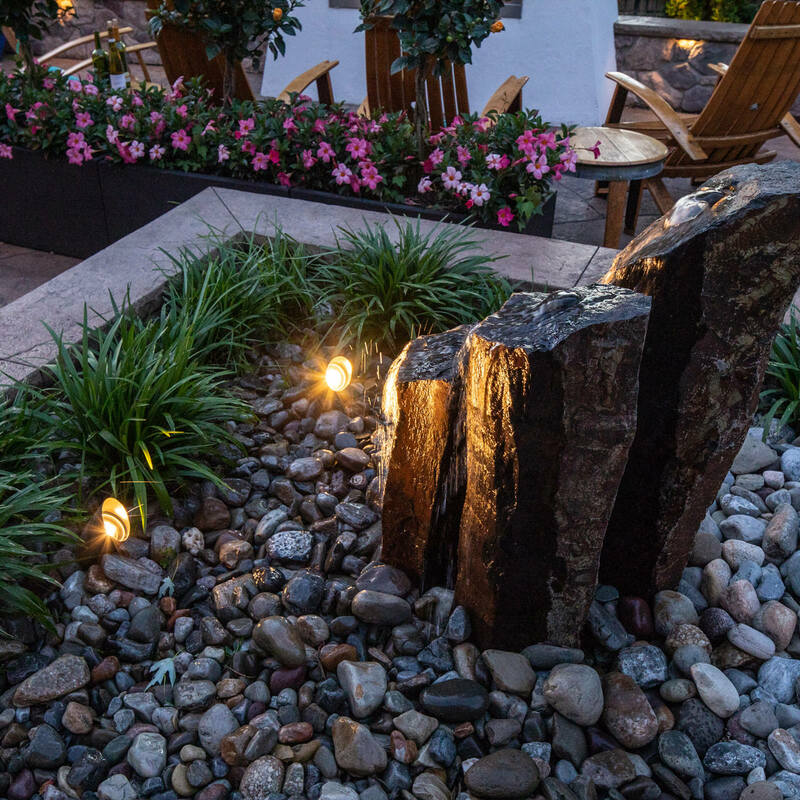 Portraying a contemporary feel in outdoor living spaces, this slab is very versatile in design and installation. Produced in three sizes, packaged and sold separately, allows installation patterns to reflect the client’s personal style and creativity. This slab is also available in both hyper-smooth and polished textures in Greyed Nickel, Onyx Black and Beige Cream. Does Para’s versatility inspire you? 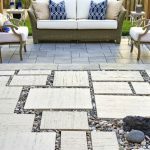 Inspired by nature, driven by versatility and sustainability, these 2017 Techo-Bloc products are redefining how we look at our outdoor spaces proving modern materials can hold their own in the backyard while still providing a timeless feel. 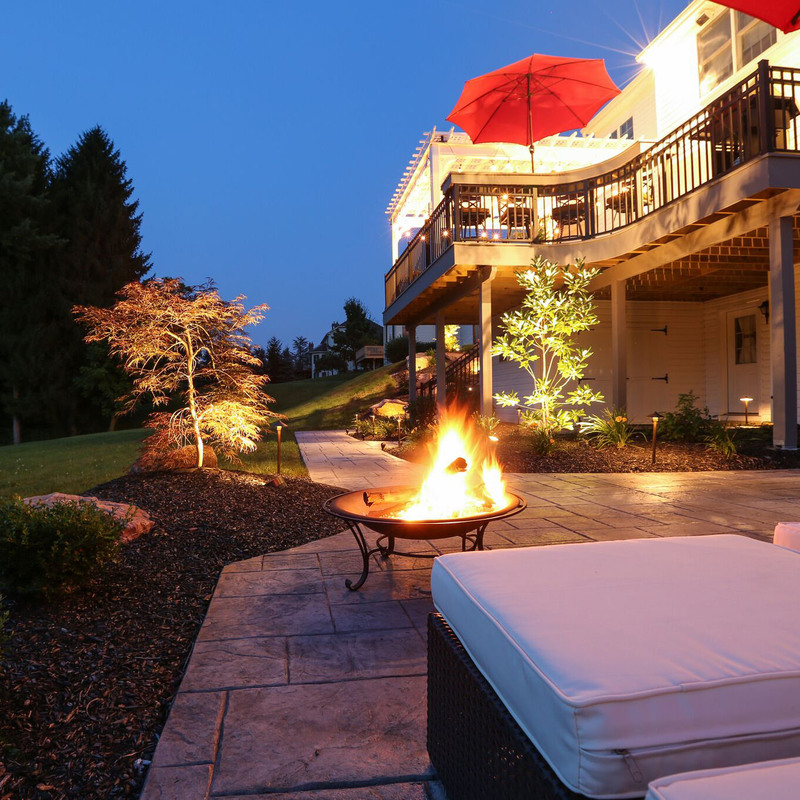 Ultimately, your backyard is your haven and the sky is the limit when it comes to the options that will serve you and your family best. 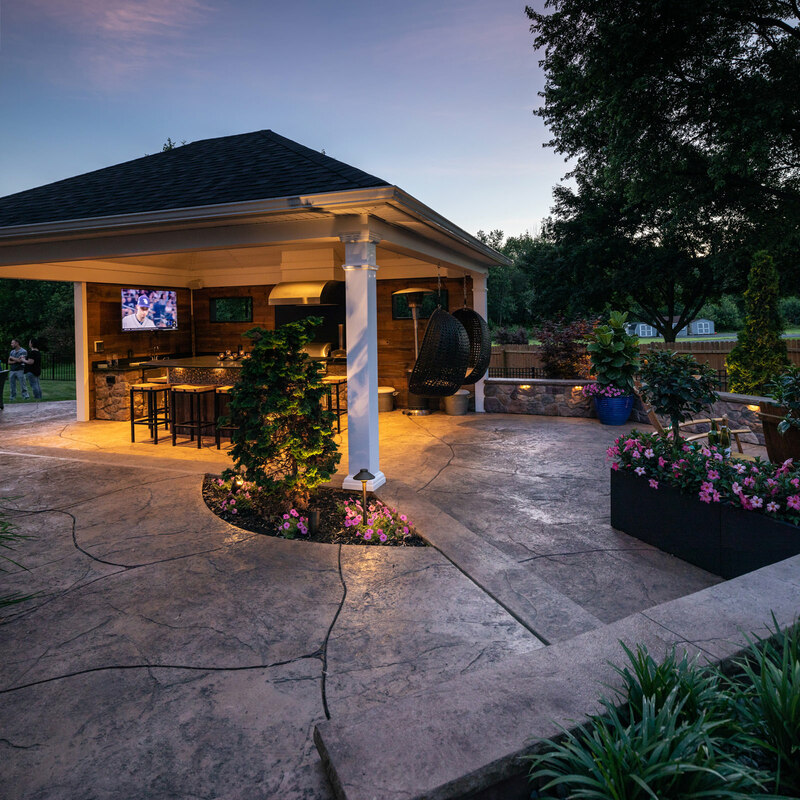 Here at MasterPLAN Landscape Design it is our mission to educate our clients to make good informed decisions so beauty and function go hand-in-hand when it comes to outdoor living spaces. 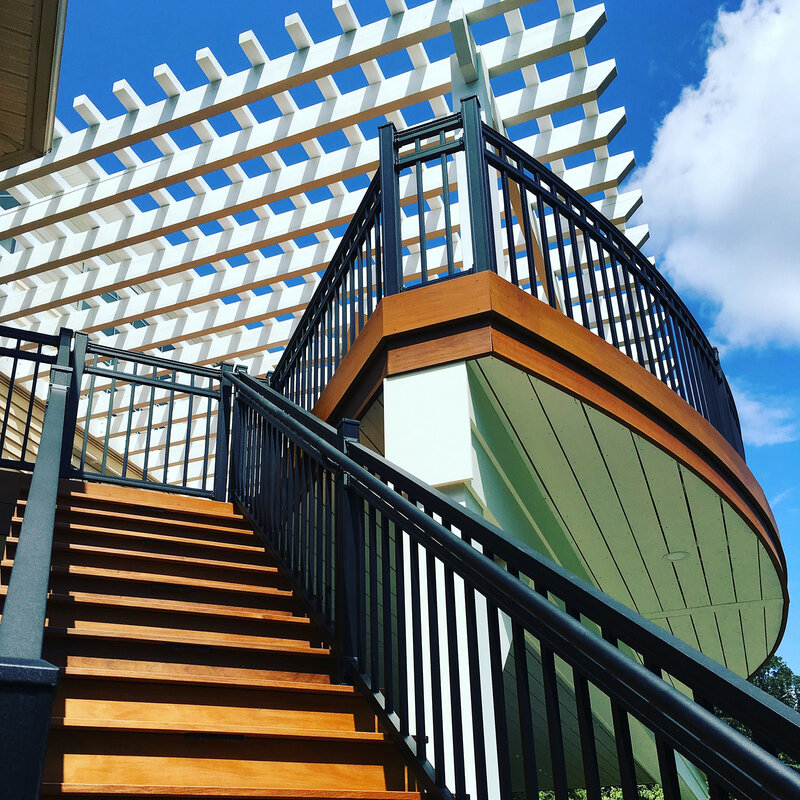 When you are ready, reach out to us at MasterPLAN; we would love to help you uncover the full potential of your property and provide a space for your family to create memories for years to come!